An advisory council put together by Google found that the search engine should only apply the so-called “right to be forgotten” to European Union search domains and not to its international .com domain, which is contrary to what EU privacy regulators want the search engine to do. Delisting search results only on EU domains is one of the recommendations in a 44-page report released on Friday by the council, whose eight members all volunteered their time. Google convened the council to advise it on implementing a decision made by the Court of Justice of the European Union in May last year, which gave EU citizens the right to compel search engines to remove search results in Europe for queries that include their names if the results are irrelevant or excessive. 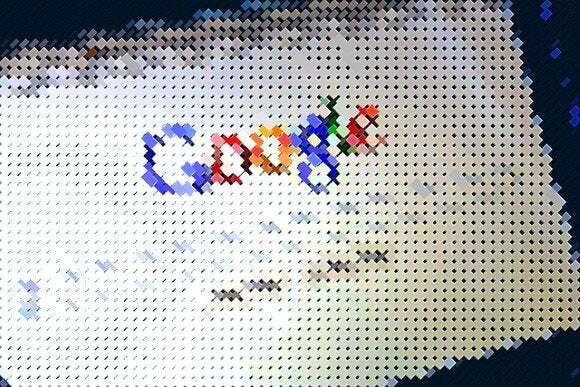 Based on the ruling, Google so far received over 212,000 removal requests concerning over 767,000 URLs. About 40 percent of those URLs are no longer shown in European search results based on certain name queries. The ruling though has been considered rather vague on the details, which is why search engines have been struggling to find a proper way to implement it. One of the issues left open for debate is whether Google should delist search results only on its EU country domains such as google.fr and google.de; delist the results on all its properties worldwide, or delist the results on all its properties, but only for users accessing them from within the EU. Until now, Google has only been applying the ruling to its European country sites, arguing that other courts in other parts of the world wouldn’t have reached the same conclusion. However, a group of European privacy regulators in November argued that, in their view, delistings should also apply to the .com domain to guarantee the effective and complete protection of the person involved in such a way that EU law cannot be circumvented. Visitors to Google.com from within the EU are automatically redirected to local versions of the search engine—although on those sites, Google offers a prominent link that, with one click, takes redirected visitors straight back to the Google.com. Limiting delistings to EU domains on the grounds that users tend to access search engines via their national domains “cannot be considered a sufficient means to satisfactorily guarantee the rights” of people, the privacy authorities found. Under EU law, everyone has a right to data protection, and therefore delistings should also be effective on the .com domain, they found. A majority of Google’s advisory council, though, disagreed with this view. Google told the council that over 95 percent of queries originating in Europe are on local versions of the search engine, and the council found that removing links only from EU domains is enough to comply with the ruling at this stage. “Given this background, we believe that delistings applied to the European versions of search will, as a general rule, protect the rights of the data subject adequately in the current state of affairs and technology,” said the council’s majority report. Though delisting results on the .com domain would ensure a more absolute protection of a person’s rights, the majority of the council found that there are competing interests that outweigh the additional protection afforded. Users outside of Europe should for instance be able to access information via a name-based search in accordance with the laws of their country, which may conflict with the EU ruling. What’s more, while it is technically possible to prevent Internet users in Europe from accessing search results on the .com domain, the council has concerns about the precedent set by such measures. Repressive regimes might point to such a precedent in an effort to lock their users into heavily censored versions of search results, they said. The council was divided on the issue though. “According to my opinion the removal request comprises all domains, and must not be limited to EU-domains. This is the only way to implement the Court’s ruling,” former Minister of Justice for Germany Sabine Leutheusser-Schnarrenberger said in a personal comment in the report. “The internet is global, the protection of the user’s rights must also be global,” she said. These conflicting explanations of the scope of the ruling are likely to lead to more legal fights later this year, if European privacy authorities try to force Google to comply with their view of what the ruling meant to say.